This book has all the necessary elements to engage the YA crowd: the action is fast paced; the dialogue is sharp, witty and humorous, and there are lots of combat scenes. The 1500 year old Alexander fits right in with the other teenage characters. The story, a mixture of science fiction and realism is well researched and well crafted. The history tidbits interspersed throughout are at times overdone but don't affect the pace of the story. 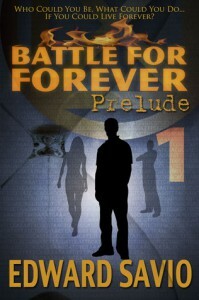 Prelude 1 leaves the reader wanting more, certainly a good choice for the reluctant young reader.